Be the first player to discover the identities of the other players. Put the game board in the middle of the table. Each player is given one answer chip. Shuffle the question cards and deal seven cards to each player face down (five cards in five and six player games). The rest of the question cards form the draw pile in the center of the game board. Shuffle the character cards and deal one card face down to every player. Players look at their card without indicating who they are to the other players. Throughout the rest of the game the player has to answer all questions in the game based on the character on their character card. The rest of the character cards are put back into the box without any players looking at them. To begin each player’s turn they chose one of their question cards and asks the question on the card to one of the other players. If the player has a “Ask Any Question” card, they can ask any of the players one of the questions presented on the card. The player who is asked has to respond to the question with a yes or no. 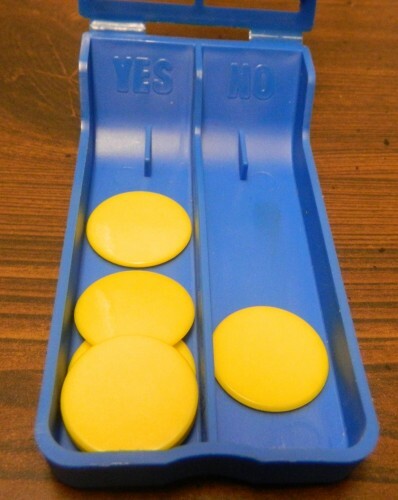 If the player answers yes, the card that was asked is placed face up in front of the player so the other players can remember what the player answered yes to. The player who asked the question draws another card and gets to ask the same player or another player another question. During the game this player has been asked several questions. The identity card would be face down during the game but is face up here for illustrative purposes. 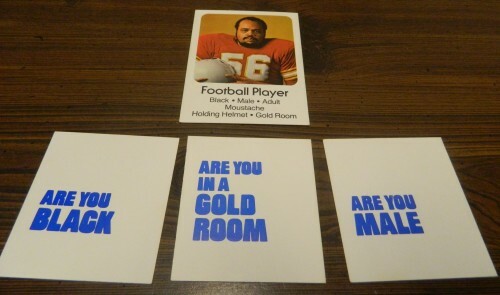 The player responded yes that their character was black, in a gold room, and a male. If the player answers no, the card is put in the discard pile. The current player draws a new card but their turn ends. For most of the identities in the game, the player has to answer all questions truthfully. The cards list all of the relevant information at the bottom to help players answer the questions correctly. There are four exceptions though. Spy and Gangster: The spy and gangster must always lie. If an answer would normally be yes they have to tell the player no and vice versa. Censor: The censor must answer no to every single question asked to them. Director: The director can choose to answer yes or no to any question asked no matter whether it is true or false. If a player thinks they know the identity of all of the other players they can choose to make a guess of their identities. 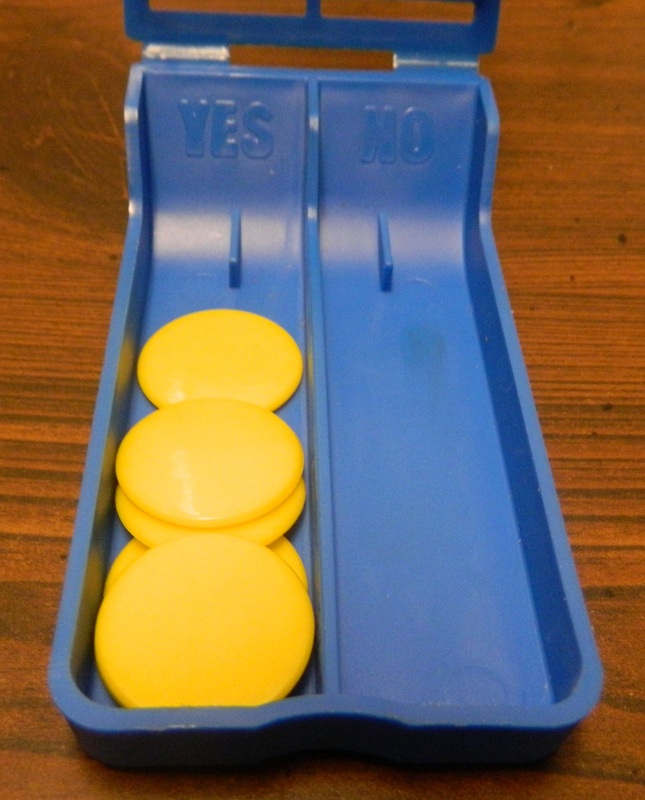 This can be done at the beginning of a player’s turn, after receiving a yes answer to any question, or after receiving a no answer to a question. To make a guess the player has to announce to all of the players who they suspect each player is (obviously not saying who they themselves are). Each player in turn takes their answer chip and the answer box. They place their chip in the yes slot if the player accurately guessed their identity. They place the chip in the no slot if the player guessed their identity incorrectly. All players must answer truthfully even if their identity is one of the special characters that lie. Once every player has put their chip into the answer box, the player that guessed opens up the answer box to see the chips. Without letting any other players see, the player checks to see if they guessed all of the identities correctly. If all of the chips are on the yes side of the box, the guessing player has won the game. 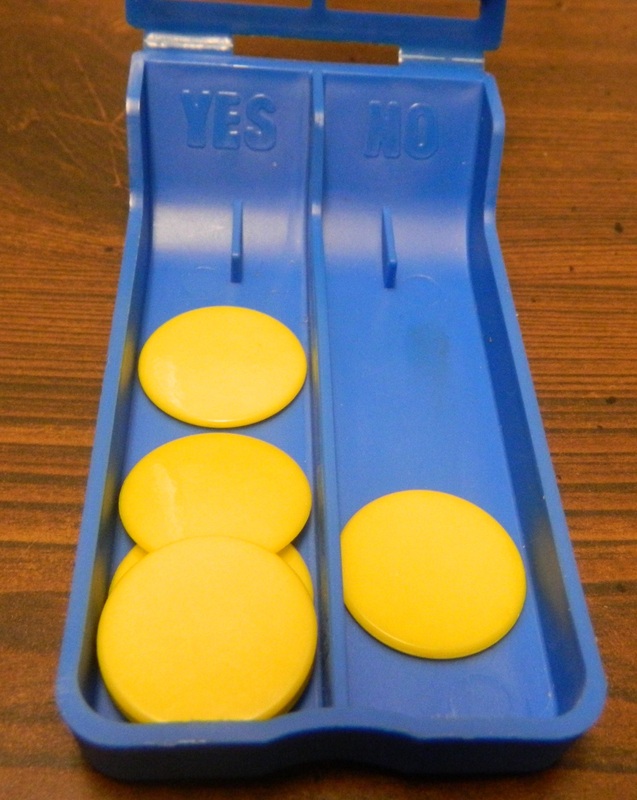 Since all of the chips are in the yes side, the player who guessed wins the game. If one or more chips are on the no side, the player guessed incorrectly. They do not have to reveal how many no chips they received. Everyone’s chips are returned and the game continues like normal with the player guessing incorrectly still being in the game. This player guessed incorrectly since there is one chip on the no side. This means that they did not have one of the other player’s identities correct. When talking about Whosit? it is pretty hard not to reference the game Guess Who. There are just so many similarities between the two games. 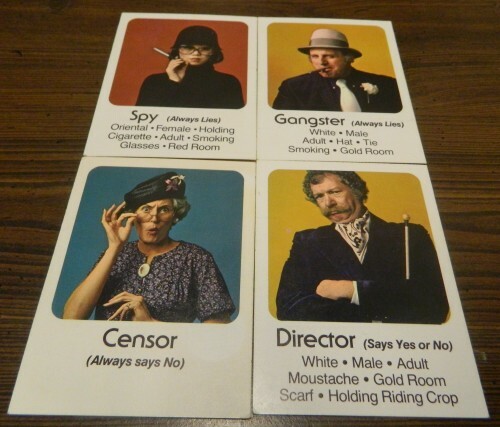 Both games revolve around figuring out the identities of the other player(s) by asking questions about gender, race, facial hair, glasses, jewelry, etc. For some reason though Whosit? was left in obscurity while Guess Who became quite popular. This kind of surprises me since despite being older I actually think Whosit? is better than Guess Who in some ways. The biggest reason Whosit? could be better than Guess Who is that it has more variables in play so it is not as easily solved as Guess Who. In Clue there are strategies out there where you can usually win a game of Guess Who in just a couple turns. This doesn’t mean that Guess Who is a bad game but it means that with continued plays the game can get kind of dull if you know the advanced strategies. This doesn’t work the same way in Whosit? because you can’t ask whatever question you want so you can’t use the advanced strategies from Guess Who. Another advantage for Whosit? is that it supports two to six players while Guess Who only supports two players. Since you have to solve each player’s identity, if you solve one player’s identity that player is not out since you need to figure out the rest of the players as well. This means that lucky guesses don’t have as big of impact on the game since you have to solve several player’s identities. Another thing I give Whosit? credit for is the idea of the answer box. Games like Clue have a problem when one player guesses incorrectly. How the game is set up the player has to be eliminated from the game since they obviously can no longer play the game since they know the answer to the mystery. The answer box works well since it lets players stay in the game even if they guess incorrectly. Players can even gain information out of incorrect guesses. 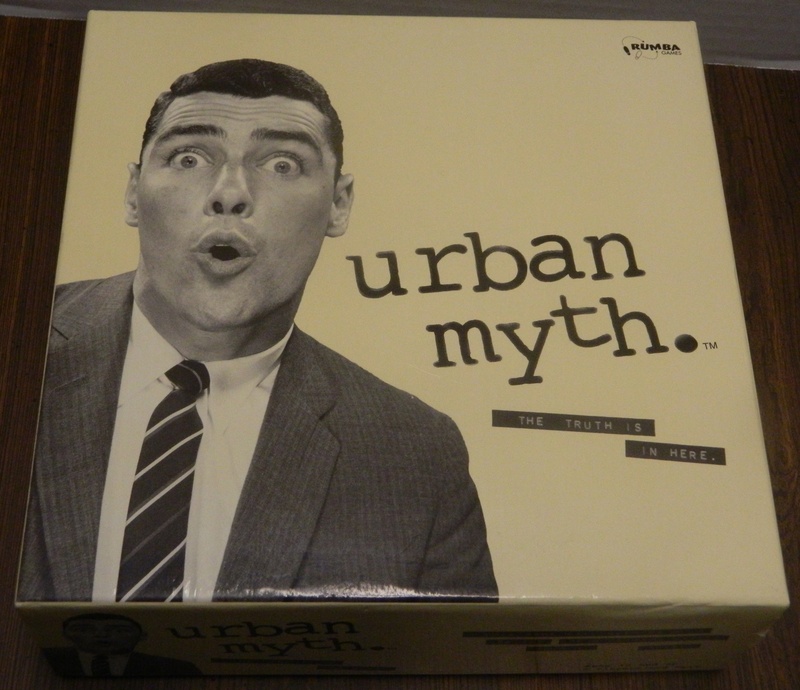 The player who guesses gets the most information since they know how many identities they have correct but the other players will find out the other player’s suspicions. Guess Who is more of a deduction game while Whosit? relies more on luck. A good Guess Who player has a much better chance at winning the game than a less skilled player. While there is some strategy in Whosit? it relies more on luck since you don’t get to pick the questions you want to ask. You could have a good idea who one of the other players are but you can’t confirm it unless you draw the right card to ask them the last question you need answered. The special identities could also give one player an advantage or disadvantage over the other players due to no fault of their own. Other than affecting the questions that a player can ask, the question cards can also create a problem when the same player keeps getting the same card. In one game that I played one player kept getting the question that asked if a player was white. They got this card probably at least six times in the game. Since he already had the information he needed from the card, he had to just keep asking the same player the same question since he knew that player was going to answer yes so he could get another turn. Another thing that eliminates a lot of the skill from the game is the fact that most of the information in the game is common knowledge. Since every yes answer can be seen by every player, everything you learn about the other players is also known by all of the other players. Strategy can’t really come into play since any information you gain helps all of the other players. In order to win the game you kind of have to get lucky that the necessary information for all of the player’s identities comes out on your turn. Since everyone has the same information everyone is likely going to have the same suspicions of the other players so whoever can confirm them first will win the game. Being a game from the 1970’s the game has aged in some areas. The biggest issue is that the game refers to all of the Asian characters as “Oriental”. I doubt many games today would use that term. Some of the characters also seem to be kind of stereotypical. I have to give the game credit for being more inclusive than a lot of games from the same time period. The game has a pretty even spread of white, Asian and black people which is better than the original Guess Who which despite being a newer game has only one non-white character in the entire game. One unique thing in Whosit? are the special identities. I like some things about them and there are other things I don’t like. I know that the game would be really short if they didn’t exist at all. It is really easy to narrow down a player’s identity with just a few clues. A lot of the identities can be discovered with just three yes answers. With the possibility that one or more of the players is one of the identities that can lie makes it considerably harder to determine someone’s identity since you need to rule out the possibility of them being one of the lying characters. This is why I like the idea behind the spy and gangster because they add an additional element to the game without being overpowered. They are a little harder to discover but are still easy to discover by getting them to answer yes to two different things of the same type like saying they are in two different colored rooms or are two different races. The problem I have with the secret identities is with the censor and the director. While I have never played a game with the censor I have to say that it is probably the worst identity in the game since it is pretty easy to guess when the player is answering no to every single question. That is going to get suspicious pretty quickly. On the other hand the director is way too powerful in my opinion. If the director plays it smart they have a big advantage in the game since they can mislead players pretty easily. While you can eventually narrow it down, I think the director is too powerful in the game. The components are okay but are far from special. The artwork and cards are decent. I like that the cards have all of the relevant information printed on them since it makes it much less likely that a player will make a mistake which will ruin the game. The gameboard is pretty pointless though. All it is used for is as a reference to the different characters in the game. Instead of the gameboard the game should have included reference cards/sheets because they would have been more useful. It would have especially helped if these cards/sheets included the text that is on the cards since sometimes it is hard to see from the pictures what descriptors match each character. For example one of the children is more of a teenager than child and could be considered an adult by some players. Jewelry is also sometimes hard to see on some of the characters. With reference sheets these issues would have been much easier to resolve. Overall Whosit? is not a bad game. It relies too much on luck and has some pointless components but the game is still kind of fun in short doses. The game is pretty short with the normal game probably taking around twenty minutes. If you like older Parker Brothers games I think you might like Whosit? quite a bit. Whosit? is not a bad game but is nothing more than an average game. 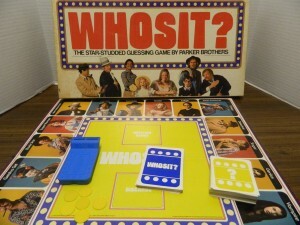 If you like simpler deduction games or like older Parker Brothers games I think you would like Whosit? quite a bit. 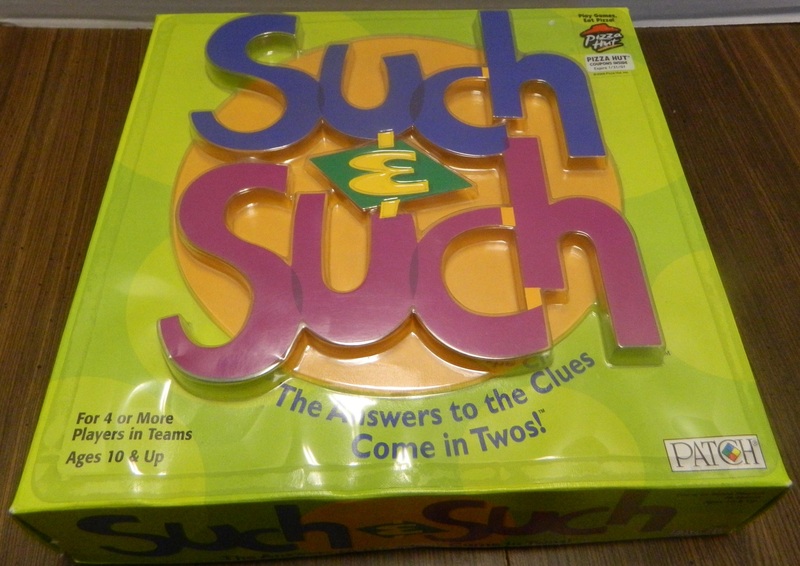 If neither really describe you but you find the game for cheap at a rummage sale or a thrift store, Whosit? might still be worth picking up. Otherwise I would probably pass on the game. If you would like to purchase Whosit? you can purchase it on Amazon here . Plays quickly and is easy to play. The director identity is rigged. It is too easy to determine the other player's identities. The game sometimes relies more on luck than actual deduction skill.